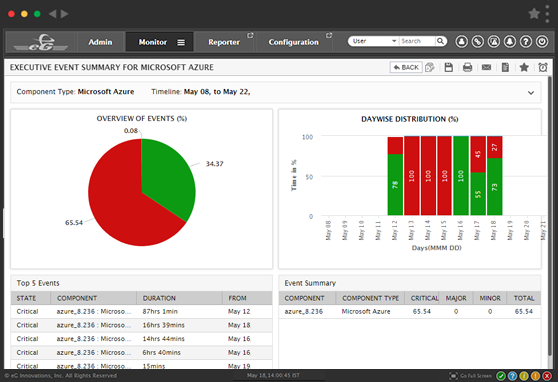 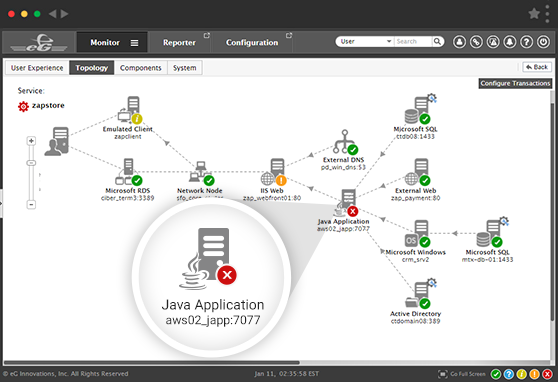 eG Enterprise is a total performance monitoring solution for the Microsoft Azure cloud environment. 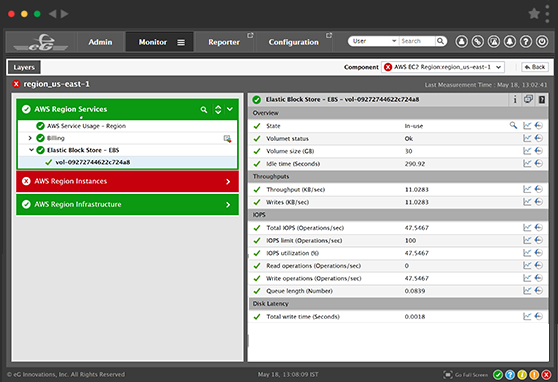 Whether you have production applications running in Azure cloud, or are in the process of migrating applications to the cloud, eG Enterprise gives you the visibility you need to ensure top performance, availability and excellent user experience. 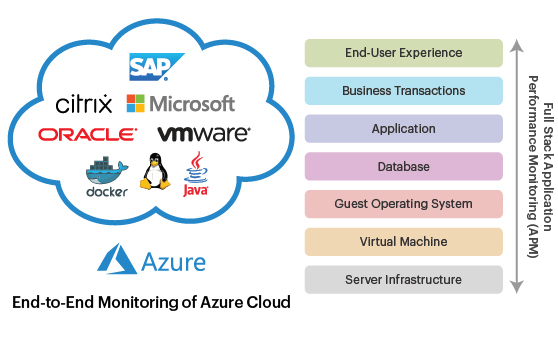 Providing unified monitoring of cloud, on-premises and hybrid IT infrastructures, eG Enterprise delivers deep performance insights, availability metrics, resource utilization trends and historical analytics to diagnose and resolve all performance issues that can impact your business services. 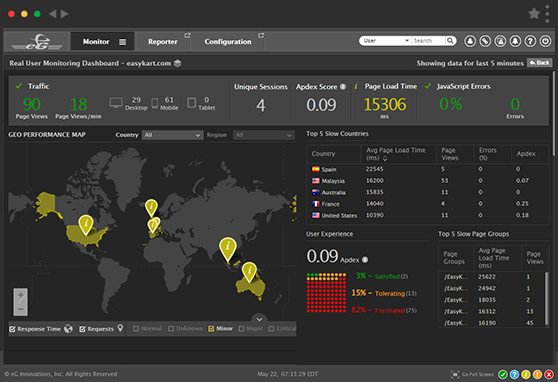 eG Enterprise leverages Azure APIs to gather in-depth performance diagnostics and presents them on an intuitive web-based dashboard for performance analysis and problem resolution. 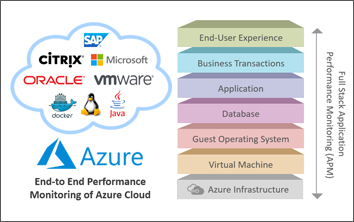 eG Enterprise provides deep visibility into the performance and resource utilization metrics of Azure VMs (Windows and Linux).